Turnbull manuscripts curator David Colquhoun has produced a winner with Wellingtonians: From the Turnbull Collections. 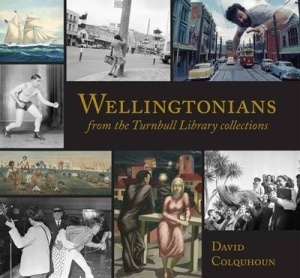 Readers will enjoy a delightful variety of aspects of Wellington’s past, in a satisfyingly offbeat selection from the Turnbull’s pictorial treasurehouse of photographs, paintings, cartoons, manuscripts, posters, sketches, and novelty postcards. 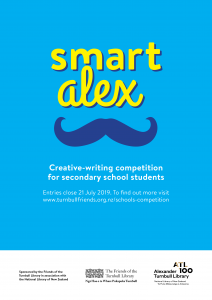 The book was published by Steele Roberts late last year. The PapersPast website is widely consulted by researchers of local and family history, and deserves its status as an essential research tool. Recent searches on ‘Christchurch earthquake’ produced some interesting results – especially surprising if you thought that the destruction experienced in September 2010 and February 2011 was unprecedented in the Garden City. It is evident that there were “slight” or “sharp” shocks on numerous occasions in the 19th century. On 10 June 1869, the Grey River Argus advised of “Another Earthquake in Christchurch: A smart shock was felt at five to two this morning.” A quick survey of other reports indicate there was a slight shock in August 1871; an earthquake was “felt in Lyttelton and Christchurch” in November 1880; and other reports appear in July 1881, January 1884, and January 1888. Libraries are fundamental pillars of a working democracy, as vital to its health and wellbeing as a free press, said the Governor-General, Sir Anand Satyanand, in his 2010 Founder Address to the Friends of the Turnbull at a special function marking the Turnbull Library’s 90th anniversary. The birthday celebration was held in the Grand Hall of Parliament Buildings on Wednesday 16 June.